It’s a unique book – a world history that will come as a revelation to everyone who reads it. The author guides the reader with numerous remarkable and curious stories through the history. 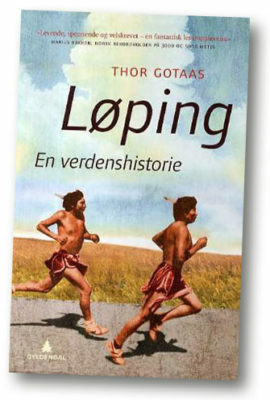 Sold in more than 15 000 copies in Norway. Thor Gotaas (b. 1965) is an author and a folklorist. He has also written The Gypsies (2000), The First in the Race: The History of Cross-Country Skiing in Norway (2003), and Ski Makers: The History of Norwegian Skis (2007). Translations: Running (2008). Sold to 18 countries: UK, Korea, Russia, Italy, Sweden, Netherlands, Japan, Egypt, Germany, Serbia, Hungary, Turkey, China, Czech, Slovakia, Denmark.